In recent years, grocery store social media reputation management especially Facebook reputation management has been emphasized repeatedly. London school of economics has revealed that controlling only 2 % of negative words and posts can boost the overall sales by 1%. Social reputation management can be a helping hand for most businessmen and companies. However, this study has cleared that negative posts or comments are doubling the effects of positive words. This is the real beauty of reputation management. Generally, it has been observed that good news will stay for a short time but bad news spreads and creates a huge impact. It is natural and dominant everywhere. IMP Grocery has one of the most realistic approaches providing services in order to organize reputation management plans for grocery stores. Use of different social sites and networks is common for grocery stores. Therefore, it is necessary to focus on the importance of Grocery Store Social Media Management because it is the most frequently used. What happened with Dominos Pizza? Last year, a video was uploaded on YouTube by the employees of Dominos Pizza. Inexperienced management ignored the video and thought it would go away in a few days. However, the video got more attention in public. With the passage of time, they got several bad posts and comments on that video so they decided to use Twitter to give a reply. They did so but it was too late and they suffered a big loss just because of not taking care of it immediately. IMP Grocery is here to help you avoiding similar situations. At IMP Grocery, we have skilled professionals who know that every negative comment or posts should be handled properly. Most of the traditional views and concepts force the grocery owners or businessmen to ignore the bad comments. However, we don’t agree with these concepts because it is very important to give a positive answer. Nowadays, the leading businessmen, celebrities, sportsmen and companies quickly reply whenever they receive a negative word in public. 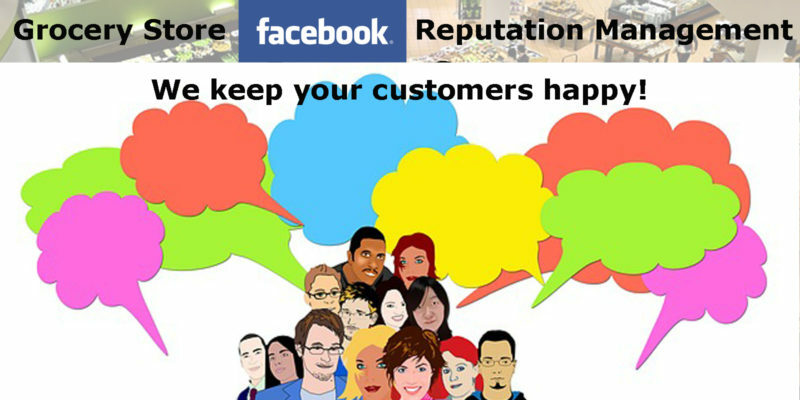 For your store, we have a Grocery Store Social Media Management and Grocery Store Facebook Reputation Management plan allowing the customers and clients to find the real truths rather than assuming bad things about your store. We encourage grocery store owners and managers to contact us as soon as possible to get solutions. It has been observed that majority of grocery store owners have a busy schedule so they are unable to manage their social media accounts. This is not a reason to completely ignore what’s happening with your social media Facebook accounts or fan pages. We closely monitor your page and respond positively to any comments or feedback left by your customers. All these things should be discussed with our professional managers so they can organize a reputation management plan for your grocery store. We always prefer to work according to expectations of our clients. This is a best approach to produce expected results in a cost effective way. As a matter of fact, Grocery Store Facebook Management handling is not an easy game. It needs attention, time and experience. Don’t react like Dominos Pizza because they tasted the huge loss after a video was viewed by millions on YouTube. Find a realistic approach that enables you to handle all important management issues and aspects in a professional way. There are several monitoring tools being used for the social media reputation management. However, it is not necessary to use all these tools. 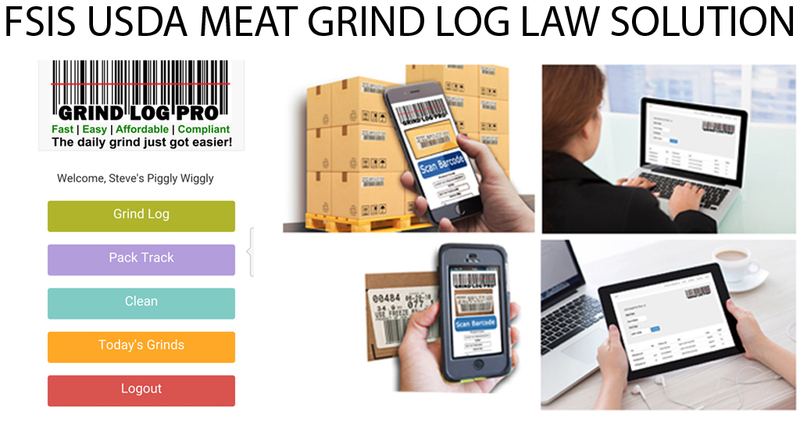 Utilization of monitoring tools depends on the requirements of grocery stores. For example, if a grocery store doesn’t want to track their website name online then there is no need to use a specific software or tool for it. It would be better if you leave it for the professionals. You should hire our professional services for the best experience. Leave the negative words and posts on your social media fan page to us. We are here to handle these in a professional manner. In fact, we have different ways to respond, and solutions to keep your fan page a great source of reputation development. Contact us at impgrocery.com and learn about our solutions. We have mentioned above that it is very important to manage the posts present on your fan page. Whether you use Facebook or Twitter for Grocery Store Social Media Management, it is essential to focus on the posts, comments, feedbacks and articles published by different people. Basically, these things are uploaded by the regular as well as occasional customers. Definitely, a person buying your products can give remarks about your grocery store. There is no need to write lengthy posts in order to reply a positive post. Similarly, you should avoid keeping the negative posts in discussion for long terms. Give a proper answer as soon as possible and close the chapter. Remember, it is not you who close the chapter of negative posts but these are your fans who forget it after getting an answer that takes care of them. Domino Pizza faced a huge talk about the clip on YouTube but this was finished by the video they uploaded on Twitter to reply the original video. Why don’t you give a proper answer before a post is viewed by fans? After posting an answer to the negative post, it will become useless and there will no impact of it in public. People will view the post and close it immediately if they already know about the reality. Your social media page or Facebook page is not just a fun page for fans. It is a platform where you interact with customers and fans. It is necessary to keep them engaged in something in order to avoid the development of negative thinking. Imp Grocery provides full support to start interesting campaigns and activities on social sites. Whether you use Facebook, Twitter, or LinkedIn, we will be there to handle the things for you. It is no longer difficult to organize Grocery Store Facebook Management. We do it for you. However, it is difficult to maintain the reputation it gains in a period. Remember, it is very difficult to achieve a level of reputation but it takes a few minutes to destroy it. Therefore you are suggested to hire our executive services to establish an engaging page where fans and customers have lots of things to do. This is a perfect way to keep the your customers busy and engaged. Why don’t you announce a coupon or discount voucher on products, or run contests? It is not necessary to offer discounts on all products but you can choose some brands for it. IMP Grocery handles the discounts coupons, contests, and vouchers carefully. We have a special style to announce the attractive deals in order to create attention. Our specialists will post articles, images, videos and comments about the discount vouchers, contests, or coupons to engage people. This is a great approach to motivate the fans to like the posts, sending positive comments and buying more from your grocery store. Yes, there are numerous rules and policies for social media reputation management. In most of the rules the users are allowed to use special tools such as campaigns. On the other hand, there are some rules having no specific requirement. We always use simplest rules in order to keep your social media page attractive for the viewers. Some of the important rules are given here. Take quick actions on the negative posts. You are suggested to be quick in order to avoid the consequences of bad words about your grocery store. Social media is known very fast to spread the message so it is necessary to act quickly. Be nice whenever you reply to anyone. There is no need to use harsh words. This will give a negative impression to the general audience. Our experts prepare and post the right answers containing soft words with logic, and we contact you immediately if you are needed for input or direction on certain questions we may not have answers to. Always use proactive approach. Whenever someone starts a discussion about your grocery store, we will be there listening and responding to it. We will check all the points mentioned by the reviewer before giving a strong reply. However, we always discern the customers point of view during the discussions using our Grocery Store Facebook Management services.